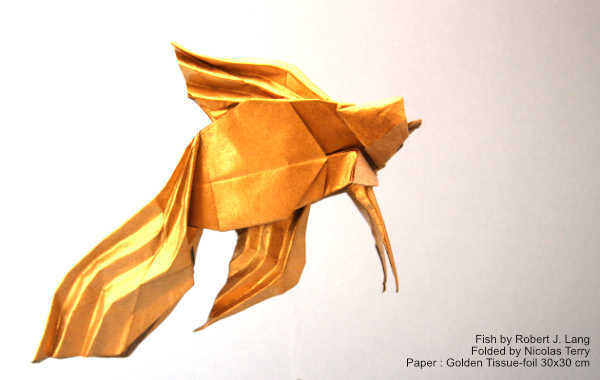 It was a sturdy and good paper for origami, but it was inconvenient for the gold powder falling from... (Lire la suite) the paper. Excellente qualité pour le pliage : le papier se plie facilement, supporte bien les épaisseurs mul... (Lire la suite)tiples, et il est solide. 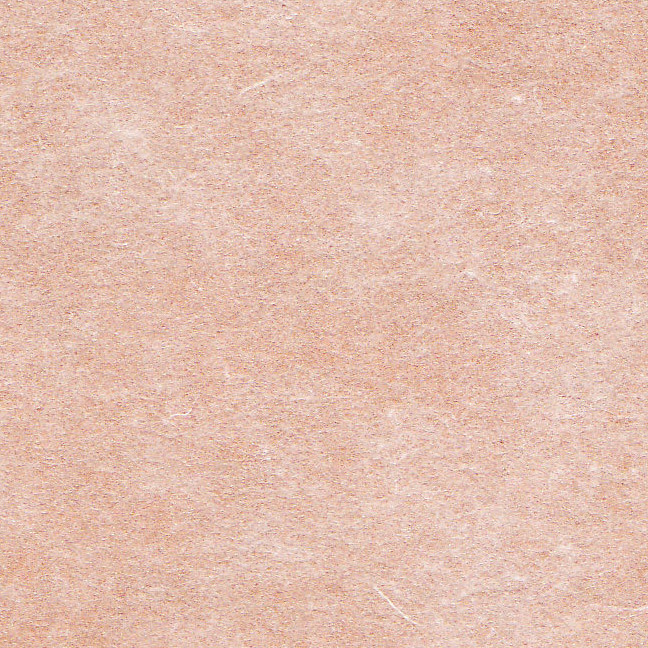 La couleur de l'envers du papier (non métallisé) est un peu fade, un peu trop éloignée de celle de la face métallisée. El papel es buenisimo y llegó en ... (Lire la suite)perfecto estado gracias a su fabuloso embalaje y además muy rápido. Contentísimo! Used this for Christmas decorations,... (Lire la suite) stars and angels. Lovely paper both in texture, colour and folding. Great quality paper. 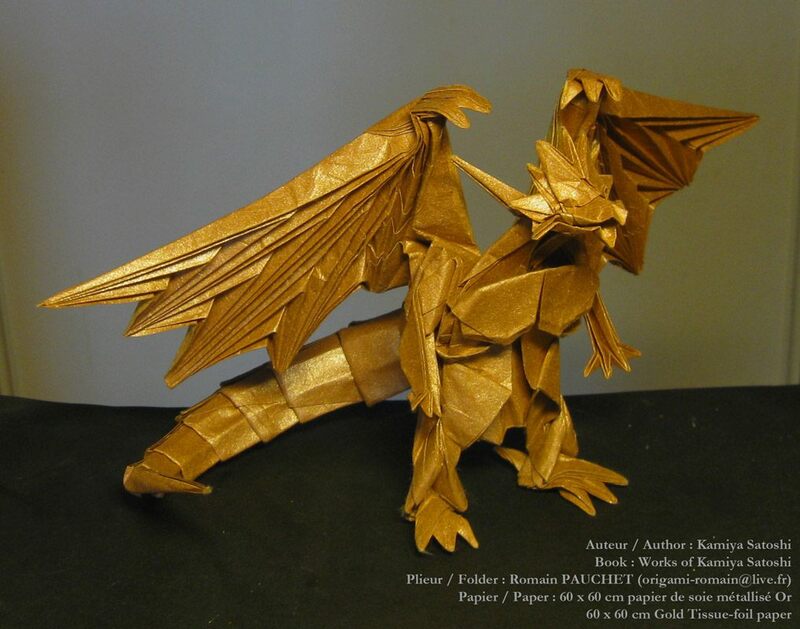 I enjoy using this f... (Lire la suite)or folding dragons. This is my second time purchasing it. I highly recommend it. Very good coloration, and nice size. 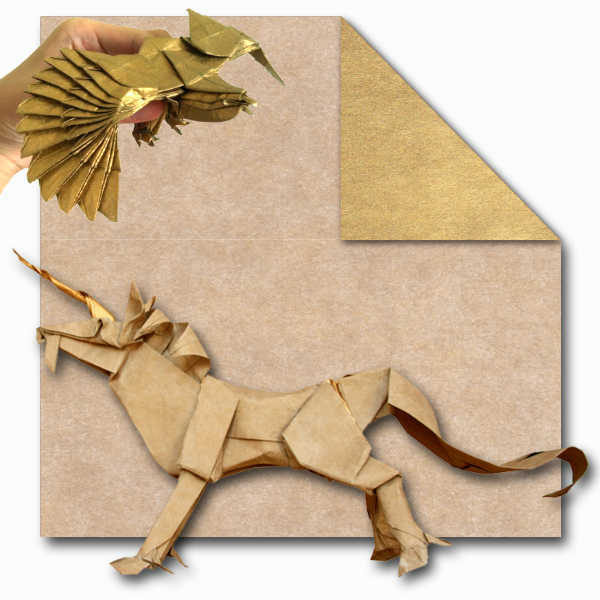 The very practical origami paper fo... (Lire la suite)r exemple for origami scrat (fernando gilgado) or intermediate and complex models. This is extremely beautiful paper a... (Lire la suite)nd is still easy to work with. 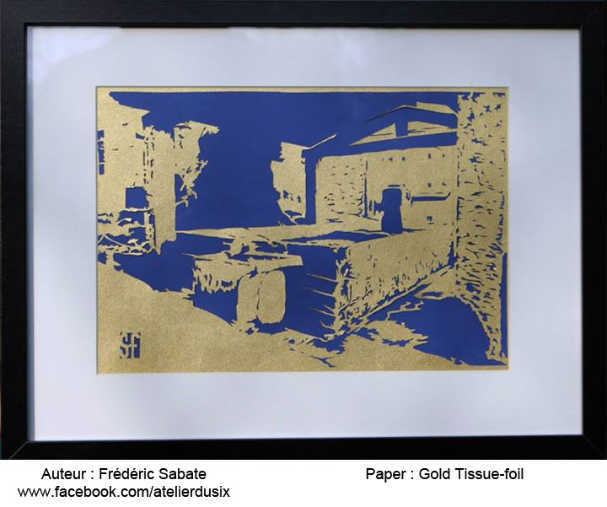 Gold Tissue Foil - As with the Copper Tiss... (Lire la suite)ue Foil, absolutely love this paper. Highly attractive on both sides, offering two distinctly different but harmonious textures to choose from. Has the unique folding properties that come with foil, while remaining remarkably resilient. Encore et toujours très satisfait par ... (Lire la suite)ce papier! 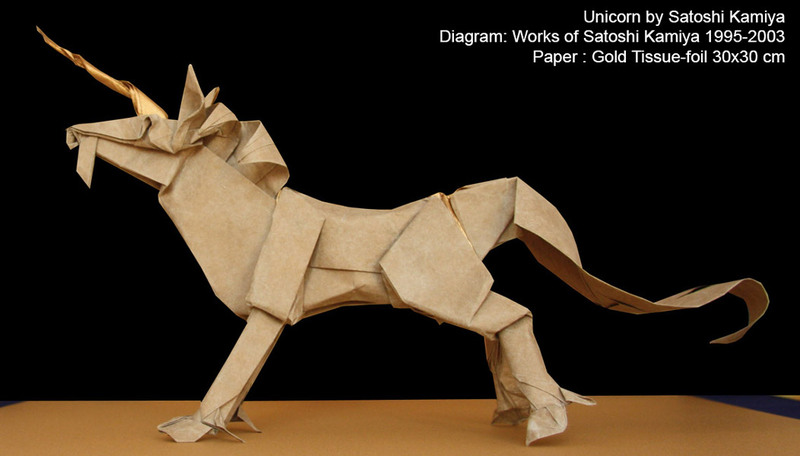 Good paper to fold large and complex figure... (Lire la suite)s.
(Review moved by Origami-shop Team to the right item). This paper is great for really complex models because of it's size. I would recommend this paper! The tissue side's color is somewhat neutral, but the foil's color is absolutely beautiful. Ive had this before and like it, the models always lol good and keep their shape with this paper. Great color on the visible side, albeit a little prone to glare. Can tear at multi-layer pleat folds... (Lire la suite) or heavily creased intersections. Suitable for mid-to-high level projects, though not optimal for models with excessive layers of paper that must be pleated. This paper is so beautiful abd has the beautiful colours. 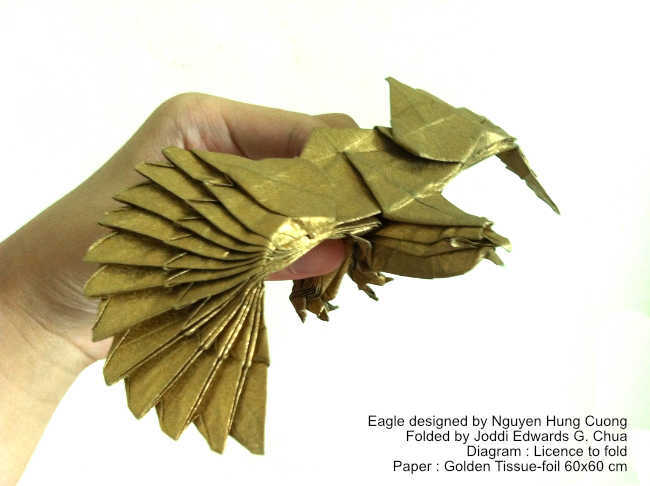 It is really good for complex origami tho.... (Lire la suite) Just a heads up this paper is more paper than foil unlike homemade tissue foul which is more foil than paper. This paper is quite thick tho but still great. Idk if it is just me but when i use this paper a lot i start to smell this weird metallic smell. I think this is the spray of the paper. Also another thing the when dealing with the paper a lot u get gold dyst on your hands. But dont worry this is probably only with gold abd silver tissue foil. Something i think origami shop could do better would be wheb they fold the sheets they could make the creases more accurate coz it interferes with the nodel having inaccurate creases. Other than that this paper is great. I have used these 3 tissue foil papers for my best models and they have turned out amazing. Unlike 4... (Lire la suite)0cmx40cm papers, this paper has never even been torn once when I was making models. 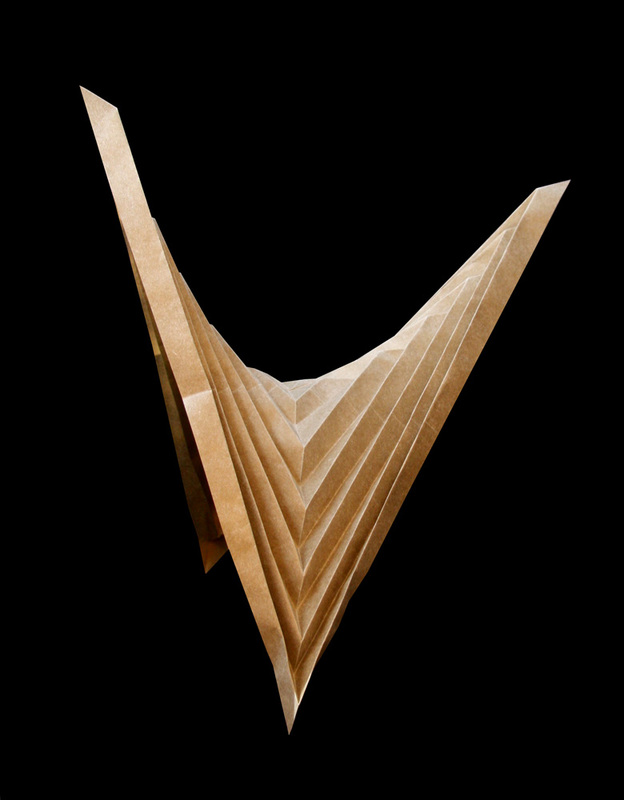 These papers are very thin and easy to fold I would recommend it for everyone. Always a pleasure to fold with this paper. A nice golden that glitters but is no too shiny. Also v... (Lire la suite)ery easy to paint the other side of the paper if needed. Idem.Papier magnifique.Finesse et grand format très pratiques pour des modèles (très) complexes. 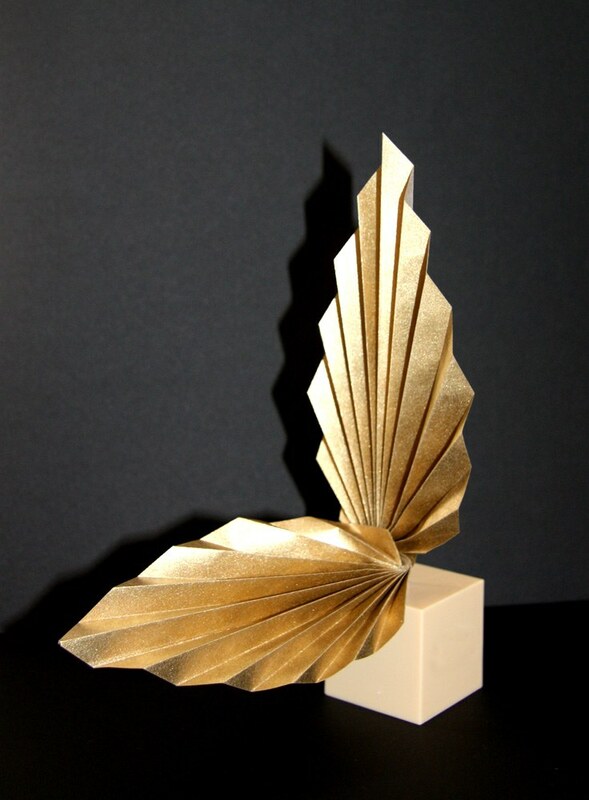 Beautiful paper,perfect shade of gold. It's always a pleasure to fold models out of this. Magnifique papier de soie, excellente qualité qui permet de faire de très beaux urigami. This and the Copper 60x60 arrived yesterday, i didn't have time to review it along with the 24 pack ... (Lire la suite)of 30x30! Anyways, it was bigger than i expected, but you know I love tissue-foil! It was very crisp, very thin,very strong and had an amazing color! Definetely 5 stars! Very good paper. 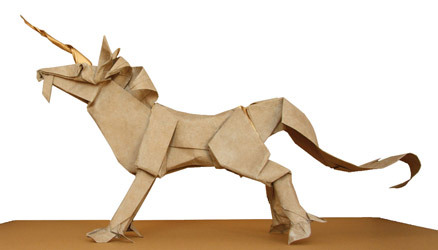 Large models can be folded super. It has a high stability and tensile strength. I w... (Lire la suite)ill certainly buy it more often!German: Sehr gutes Papier. Große Modelle lassen sich super falten. Es hat eine hohe Stabilität und Reißfestigkeit. Ich werde es sicher noch öfter kaufen!